A Spinosaurus concept sketch I did a while ago based on the latest assumptions that the animal might have walked on all four legs. I liked this suggestion and when ahead and illustrated it! 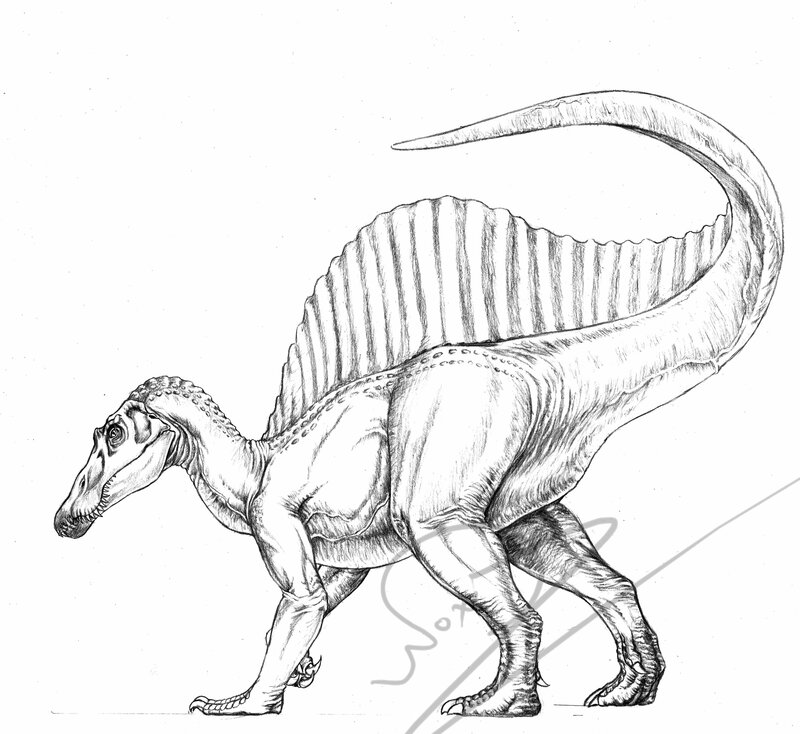 When I imagined a 4 legged Spinosaurus, I thought it would look really weird and not natural. This is the only picture I found on the internet that really makes it look...realer. Thank you so much! I am glad that you liked it!